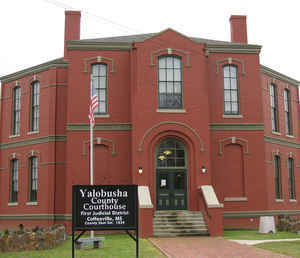 Yalobusha is a Native American word meaning tadpole place. "Beginning on the line between townships 21 and 22, at the point at which the line between 8 and 9 east crosses the line between townships 21 and 22, and running from thence north, with the said line between ranges 8 and 9 east, thirty miles; from thence west, to the line between ranges 3 and 4 east, from thence south with said line between ranges 3 and 4 east, to the line between townships 21 and 22, and from thence east to the place of beginning." It was originally a large county, containing an area of 25 townships of 900 square miles, but surrendered part of its territory to Calhoun County in 1852, and a large part of its southern area to Grenada, when that county was created in 1870. Its name "Yalobusha"is an Indian word, meaning "tadpole place", and was suggested by the river of the same name which waters its territory. 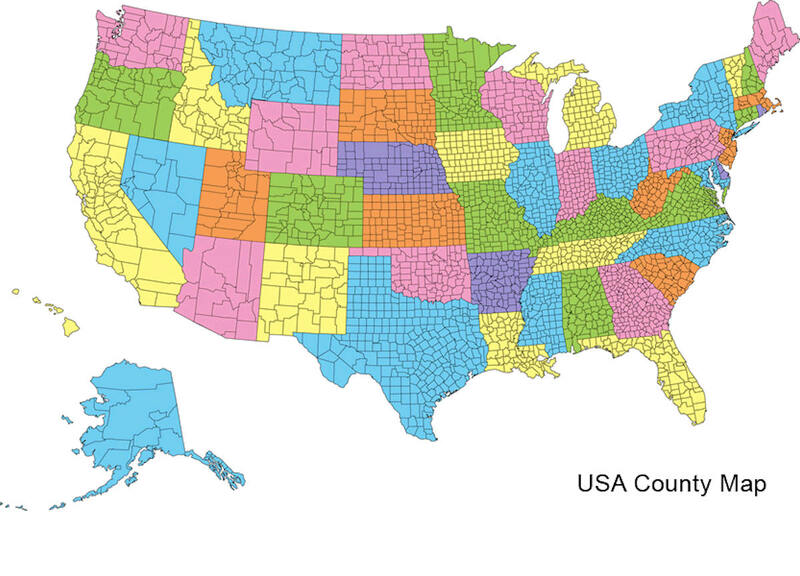 Emigration was rapid into this region during the '30s and early '40s, from the older states on the east and north and from the older settled parts of Mississippi. By the year 1837, Yalobusha had attained a population of 4,355 whites, and 4,215 slaves; by the year 1840, there were 12,248 people in the county including slaves, and 17,258 in 1850. Three of the earliest settlements in the county were at Hendersonville, Sardinia and Preston, all of which are now extinct. Hendersonvifle was four miles south of Coffeeville on the site of an old Indian village. 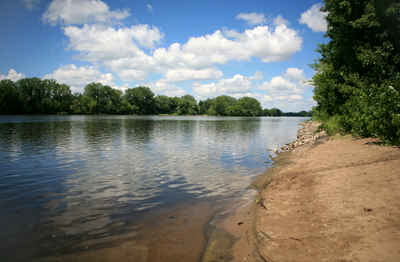 Says Captain Lake, who lived there in 1834: "It was here that Col. T.C. McMacken, the celebrated hotel keeper, in the early history of Mississippi, began his career. Beaten by Coffeeville in its efforts to become the county seat, the town rapidly decayed. Sardinia, on the Craig plantation near the Yocona River one mile north of the present church of Sardinia, was once a place of about 150 people. The town had become dead by 1856, owing to the rivalry of the towns along the railroad. Preston was located near Scobey, and about fourteen miles north of Grenada. Settled in 1835, it once had about 250 people and was incorporated in 1840. When the station of Garner sprang up on the railroad in 1858, most of Preston's population moved there. The county seat was located at Coffeeville, March 27, 1834 and the place received its name in honor of Gen. John Coffee. The first county court was held the same year, presided over by Judge Matthew Clinton. Yalobusha county, Mississippi, is a dual county seat county. 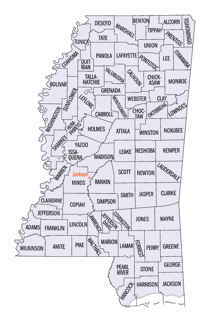 The First Judicial District is located in Coffeeville. The Second Judicial District is located in Water Valley. The southern half of the county, i. e. Coffeeville, Oakland, Tillatoba, etc., came from the Treaty of Dancing Rabbit Creek; Water Valley and the northern section of the county came from the Treaty of Pontotoc. The First Judicial District was from the Choctaw session of the Treaty of Dancing Rabbit Creek. The Second Judicial District came from the Chickasaw session. As reported by the Census Bureau, the county has a total area of 495 square miles (1,282 km2), of which, 467 square miles (1,210 km2) of it is land and 28 square miles (72 km2) of it (5.63%) is water.